on the set of "A Guy Named Joe"
"...anybody who's a right chap is a guy named Joe." 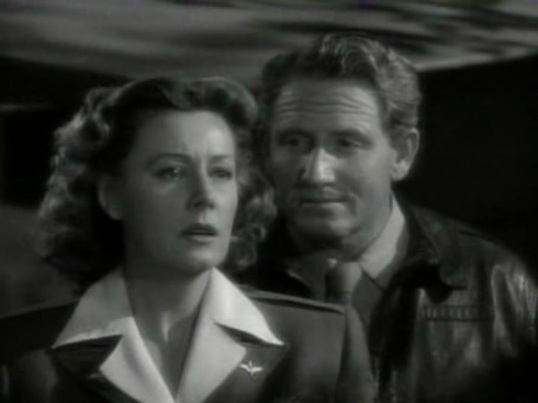 Pete Sandridge (Spencer Tracy) is a chance taking American bomber pilot stationed in England during WW II. His skills as a flyer are only matched by his daredevil attitude, much to the chagrin of his girl-friend Dorinda Durston (Irene), herself a cargo flyer. After an especially dangerous mission Colonel 'Nails' Kilpatrick (James Gleason) decides to transfer Pete and his best buddy Al (Ward Bond) to a relatively safe reconnaissance in Scotland. While visiting, Dorinda has the hunch that Pete's "number is up" and tries to persuade him to take a teaching position in the United States. At last Pete agrees but only on condition that she'll take a desk job too. But the next dangerous mission ends with Pete's death. He finds himself in after-life with a new order on his hands. 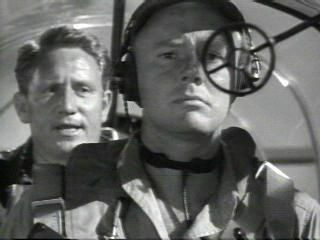 The General (Lionel Barrymore), a long dead pioneering flyer, gives him the assignment to help young Ted Randall (Van Johnson). Subconciously guided by Pete, Ted turns out to be quite an aviator himself, and gains poise both on and off the airfield. At last Ted and his heavenly guardian are transferred to the Pacific where Al and Dorinda enter the picture again. Dorinda is still shattered by Pete's death and tries to get over it by throwing herself into her work. Old friend Al urges her to go on with her life again and invites her to the officer's club. Dorinda meets Ted and little by little their relationship deepens. She even accepts Ted's proposal which leaves Pete conflicted about his mission. But he isn't the only one of two minds. Dorinda isn't sure about her feelings for Ted. Is she still in love with Pete? Will she ever be able to really love somebody else? She breaks off the engagement and when she learns that Ted was assigned to a very dangerous mission takes over herself. Guessing the target from her experience as a flyer in this region, she leaves the airbase to destroy the Japanese ammunition dump. But she is not alone. 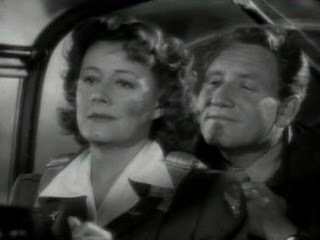 Safely guarded by Pete Dorinda is successful and survives, and before they return to the airbase Pete tells her that he is leaving her heart and setting her free for Ted. 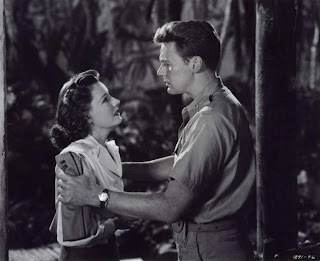 I have really mixed feelings about this film; I see what people probably like about it and understand why it was a huge box office hit in 1944 but yet don't like it very much myself. It's this kind of genre mix. 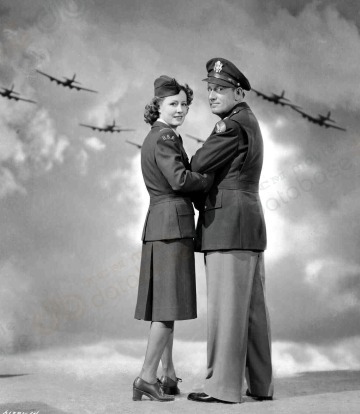 Is this a fantasy, a love story, a war film, an aviator picture? Or is the war the mere setting for the love story? 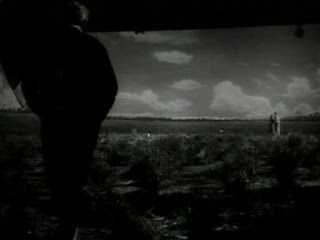 Considering the historical background and watching "A Guy Named Joe" as part of the war effort the corny music - with the one exception of Irene's in its simplicity very beautiful and touching rendition of "I'll get by" - and the at times pathetic dialogue are tolerable but not for a mere fantasy. 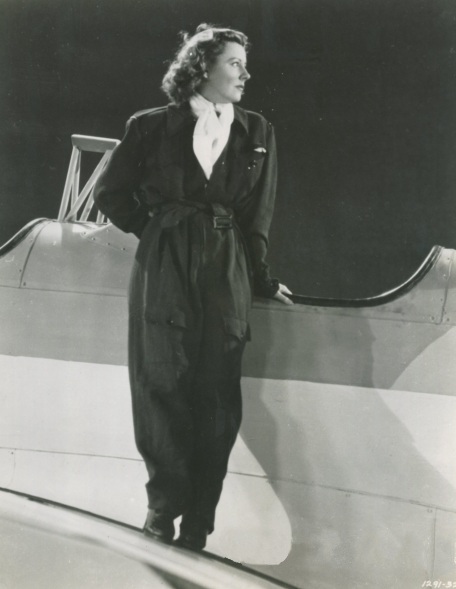 Additionally, the fact that neither war films nor movies on aviation are my favorite genres isn't helpful either. The end irritated me completely. If the general bottom line of this film is that we have to live with loss - not only in wartimes but of course particularly aiming at a wartime audience - and got to move on and live with the inevetiable parting, isn't it strange that Pete sets Dorinda "free" in the end? Shouldn't it be the other way round? Aren't the living the ones who ought to move on? Do even the poor guardian angels have to fight jealousy and to work on their self-improvement as human beings? And, for heaven's sake, why do they have to improve as human beings when they are already heavenly guardians? I know, I know this film was not meant for that kind of "cerebral tearing apart." To put it in a nutshell, the story of "A Guy Named Joe" doesn't really work for me. An absolute glamor free publicity for "A Guy Named Joe"
Nonetheless these two pros created an appealing love couple. It's not the Dunne/Grant - Dunne/Boyer chemistry but beautiful enough to watch. Anyway, in general there is nothing to complain about. Equipped with the high production standards of a MGM show off production, "A Guy Named Joe" offers all at this studio available virtuosity. Tracy's old buddy Victor Fleming occupied the director's seat, and the supporting cast glitters with names like Esther Williams - in her fourth screen appearance - Lionel Barrymore and Ward Bond as sidekick Al. Van Johnson, in his first major screen role, holds his own against screen veterans Dunne and Tracy, but naturally the duo Dunne-Tracy is way more interesting than the pairing of Irene with Johnson. 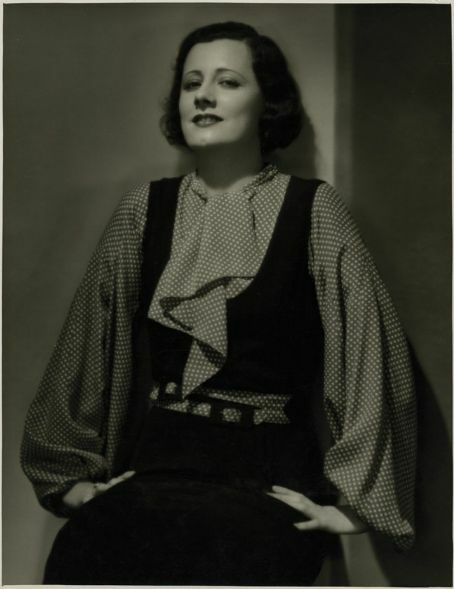 Irene accepted second billing for this production and this reflects partly her status. 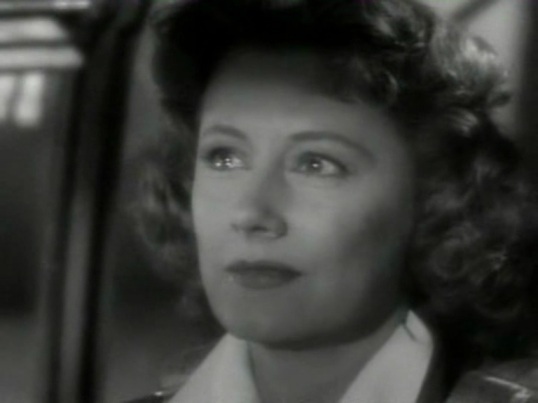 It's more a Spencer Tracy film with Irene Dunne as leading lady than a downright Irene Dunne film. I didn't count their respective screen time but assume that Tracy would win. Nonetheless is Dorinda an interesting female character who stands her ground in a world of males and obviously is a first class flyer. Pete is a typical Spencer Tracy part - the tough guy with the heart of gold - but it's a rather complex character and Tracy gets the chance to show some sublety. His performance is more than matched by Irene. Especially outstanding are the scenes when she "subconsciously" listens to Pete and in the last five minutes - reduced to facial expressions - she provides a master piece of screen acting. Typical for La Dunne this difficult scene looks effortless and easy. 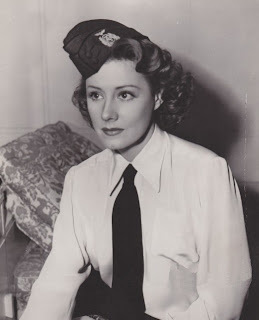 very impressed by Irene Dunne! How smoothly she floats over the age gap between her and Johnson - he was 18 years her junior - is one of the other Dunne miracles. I already mentioned her lovely version of "I'll get by" and listening to Irene I know once again why one great regret of mine when it comes to her career is the fact that she didn't film another musical in the fourties. The upshot: I highly recommend a film that's simply not my cup of tea! Hi, Susanne! 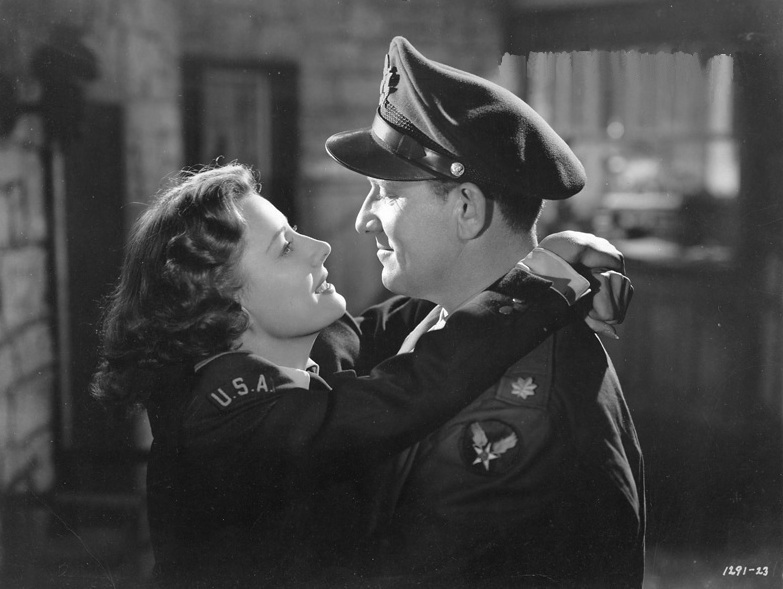 You know what, I don't care much for this film either - Mrs. Miniver it ain't, as far as a wartime flicks go. When reading that Tracy wanted Katherine Hepburn for the Dorinda role, I found myself getting defensive & annoyed; in fact,the casting of this film is my main problems - I don't care much for the romance of Irene & Tracy nor do I like Irene & Van Johnson - he's way too boyish and, even though I think she's still beautiful and looks at least 10 years younger than her real age, their coupling doesn't work for me. I don't think Irene & Tracy had much chemistry either. I think they were both too old. 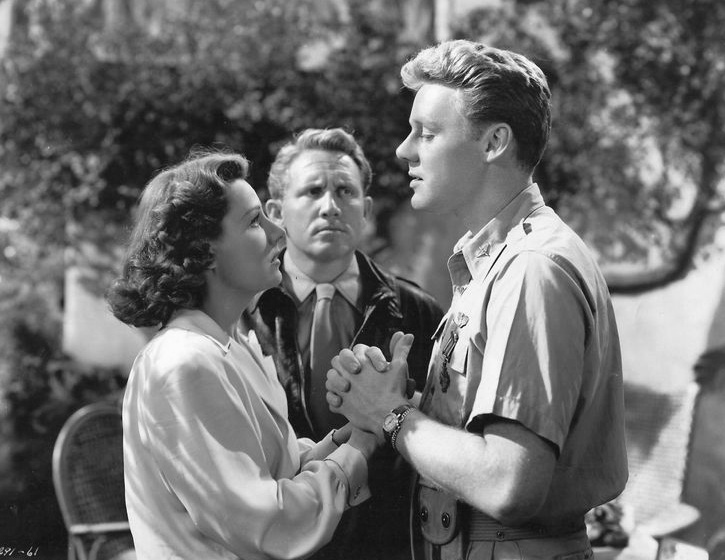 Van Johnson does well, especially since he had to recover from his auto accident, etc. I also believe I read somewhere that the original end of the film was to have Irene die in the final bombing scene, having her walk off in the clouds with Tracy...that would have been a much better end, in my opinion, but apparently some audiences did not like that so it was changed to the ending where Pete "releases" Dorinda. Too bad - it would have been tear-jerky but a better film overall. I give it a B- or C+. "I'll Get By" was pretty darn good, though, and she's still my ultimate fave! Hi Mary! As far as Pete and Dorinda are concerned it makes sense for me that they are not really young anymore;their background and experience, the way how they treat each other seem to be fitting for a couple of a middle age. On the other side Ted has to be young and unexperienced to need a heavenly guardian. Do you think you'd like the film better with a younger couple in the leads?? BTW, not the audience but the Production Code Administration did object to the original end because it implies that Dorinda's death would be suicide. 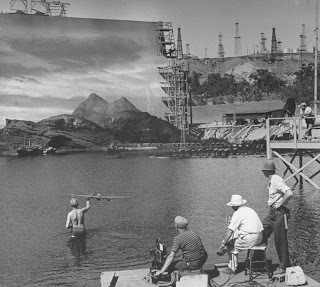 So they had to re-shoot these scenes in November 1943.